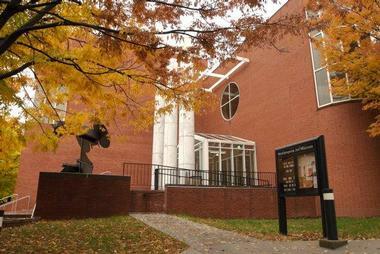 The Weatherspoon Art Museum in Greensboro was founded by Gregory Ivy in 1941 and was initially founded as a part of the University of North Carolina's Art Department. Throughout the years, the simple university teaching gallery grew into a nationally recognized professional museum with first-rate collections and dynamic exhibition programs. The museum has been collecting contemporary works of art since 1942 and now has more than 6,000 pieces in its highly respected collection. The building serves more than 32,000 nation-wide visitors annually, as well as an additional 24,000 students from the university who attend art history classes. The museum hosts more than 15 exhibitions each year and a variety of educational activities and community outreach programs. One of the most interesting aspects of the museum is that is offers free admission and free parking for visitors. The mission of the museum is to serve a large public role of acquisition, education, and preservation for the betterment of art appreciation and understanding. Helping to foster the free thinking and imagination of the museum's visitors has been the main goal of the volunteers and staff of the Weatherspoon Art Museum since its founding in 1941. The Weatherspoon Art Museum houses one of the best collections of Contemporary American Art in the Southeast. The collection contains more than 6,000 pieces from the 20th century to the present. Some of the major artists represented in the permanent collection include: Willem de Kooning, Henry Matisse, Louise Bourgeois, Robert Rauschenberg, John Marin, Alexander Calder, Robert Henri, Cindy Sherman, Sol Le Witt, Louise Nevelson, Eva Hesse, and Andy Warhol. The first collection, American Art, 1900 to present features work from contemporary artists working in the 20th century. This collection features a variety of mediums including photography, painting, sculpture, and even film. These pieces demonstrate the vast creative possibilities of early modernism, social realism, abstract expressionism, and geometric abstraction. The Lenoir C. Wright Collection features more than 700 works of Japanese woodblock prints from as early as the 1700s. Full-color designs created from exotic pigments and minerals represent Japanese warriors, landscapes, and beautifully-garbed women. It is the only collection of its kind and scale in the state. The Dillard Collection of Art on Paperhas been proudly sponsored by the Dillard Paper Company, now called xpedx, since 1965. This collection highlights the importance of drawings in the art world. Almost all artists utilize drawings for a variety of reasons during the creative process, including the generation of ideas and the exploration of various techniques. The collection has a vast collection of works including abstract, modern, and even still-life. The Claribel and Etta Cone Collection features the lifetime collection of the Cone sisters. They were Jewish immigrants who began collecting the work of Pablo Picasso and Henri Matisse in the early 1900s after having met both artists. The sisters generously gave 3,000 works of art to the Baltimore Art Museum, and mush less famously, they gave part of their collection to the Weatherspoon. This collection includes 67 Matisse prints, 6 Matisse bronzes, as well as themodern prints and drawings of artists like Pablo Picasso, Felix Valloton, Raoul Dufy, and John Graham. Finally, the museum's collection of Recent Acquisitions features the newest additions to the Weatherspoon Art Museum. With more than 6,000 pieces in the museum's permanent collection, an acquisition of new work is especially celebrated and displayed. Some of the newest pieces acquired include a scenic water color or Havana by American artist Reginald Marsh and a bronze sculpture entitled Lunalilo by American artist Deborah Butterfield. 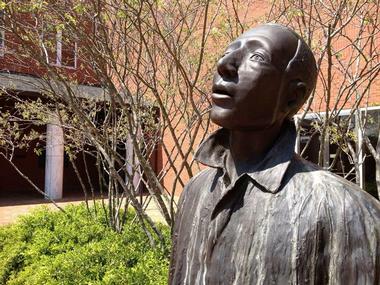 The Weatherspoon Art Museum also contains a fabulous sculpture garden consisting of more than 7000 square feet of picturesque nature and an eclectic collection of sculptures to enjoy. Artists like ElieNadelman, George Rickey, and Richard Hunt are featured in this brick-paved garden. · Single-Channel Catalyst: Alex Hubbard's "Eat Your Friends" and Selections from the Collection - This exhibit features videos of the humorous, playful, and chaotic work of Alex Hubbard. He utilizes common household objects to create representations complex puzzles and experiments. The exhibit will be on display at the Weatherspoon Art Museum from June 11, 2016 to August 20, 2016. · Matisse Drawings: Curated by Ellsworth Kelly from The Pierre and Tana Matisse Foundation Collection -This exhibit features 45 drawings from Henri Matisse's career during the early 20th century. The drawings are accompanied by a full catalogue of illustrations and details of his work. The exhibit will be on display at the Weatherspoon Art Museum from June 25, 2016 to September 18, 2016. · Henri Matisse: Selections from the Claribel and Etta Cone Collection - This exhibit features lithographs and bronze sculptures from Henri Matisse. The overall theme was one of Matisse's favorite muses - the female body. The exhibit will be on display at the Weatherspoon Art Museum from June 25, 2016 to October 16, 2016. · Plant Lithographs by Ellsworth Kelly 1964-1966 - This exhibit will be featured in the Gregory d. Ivy Gallery and focuses on artist Ellsworth Kelly. He is known for his seemingly effortless and minimalist botanical drawings. The exhibit will be on display at the Weatherspoon Art Museum from June 25, 2016 to September 18, 2016. · Decade by Decade: Art Acquired in Its Time- This exhibit will be featured in the Bob &Lissa Shelley McDowell Gallery. The collection features artwork gathered shortly after their creation over the 75 years of the Weatherspoon Art Museum.The exhibit will be on display at the Weatherspoon Art Museum from October 1, 2016 to December23, 2016. · In Falling Snow: Japanese Prints from the Lenoir C. Wright Collection - The exhibition features Japanese prints representing the wonders of winter snow. The exhibit will be on display at the Weatherspoon Art Museum from October 29, 2016 to February26, 2017. · Art on Paper 2017: The 44th Exhibition - This exhibit will be featured in the Bob &Lissa Shelley McDowell Gallery and celebrates the use of paper in contemporary artwork. The exhibit will be on display at the Weatherspoon Art Museum from May 20, 2017 to September 3, 2017. The Weatherspoon Art Museum is very active in the local community. There are a variety of free public tours, include a 20-minute one entitled, Noon @ The 'Spoon, aimed at getting even the time-strapped visitor involved in art. If you are a healthcare professional, or studying to become one, the Art of Seeing Workshops aim to improve observation, interpretation, and communication skills through the power of art. The museum is also heavily involved in sustainability efforts through a documentary film series. The program is in corporation with the University of North Carolina and is currently the longest running program of its kind in the region. More than 5,000 attendees have participated since 2006 to learn more about the issues plaguing our planet. The University of North Carolina and its students and faculty are also heavily involved with the museum. There are a variety of art history and art appreciation courses given each year at the museum. In an effort to promote art appreciation at a younger age, students (grades K-12) can also participate is specialized courses at the museum. The Weatherspoon Art Museum would not be able to host these events or provide free admission to visitors without the help of volunteers. More than 150 are needed annually and anyone can be involved. 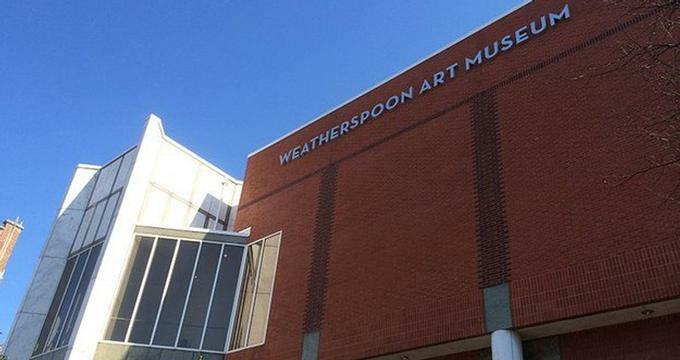 Much to the delight of visitors, the Weatherspoon Art Museum offers free admission and free parking. Groups can reserve a variety of tours including guided, self-guided, and a very special tour entitled Noon @ The Spoon. This tour features a quick 20-miunte walk-through of the latest exhibition at the museum. The tour is open to the public, does not require any reservations, and is usually held the second Tuesday of every month. The greater Greensboro area has a great deal of cultural and artistic amenities to offer as well. From city art classes and local drama center productions, to picturesque public gardens, there is no lack of arts and culture in Greensboro, NC.